This post addresses one of the topics I get asked about most – student passports – and shares a frequently requested video clip. While we often talk about students passports as ‘our effective alternative to IEPs’, that’s not really an accurate description. The student passport is not an IEP with a different name: it’s about a change in culture and is central to our inclusive, whole-school strategy. ‘For the whole of my SENCo career to date, Individual Education Plans have been continually high on the agenda for debate. It is no secret that I passionately believe there must be better ways of supporting engagement and enhancing progress for our most vulnerable learners, as part of an inclusive whole school approach, as opposed to (in the worst examples) imposing targets for young people simply as part of a bureaucratic process to satisfy ‘criteria’. But what has changed – I’m very pleased to say – is the impact of student passports across the country, which wasn’t something I considered when I developed our original student passport in 2012. Though there is variation in format of student passports across the country, there is a common theme: everyone thinks they make a significant difference to the inclusion and access of young people with SEND. That may sound bold, but the evidence from evaluations and follow-up visits is that staff feel they know more about the individual needs of the young person when they have the passport. Parents/carers also report very positive views on the impact for their children. A further opportunity for sharing and development came when I wrote the Successful Classroom Partnerships course. As part of the materials we filmed a short piece about student passports with Katie, a student, and one of my members of staff. While the day of filming involved some degree of stress and running about, we were all very proud of the result. This clip has proved popular at training days and conferences too, which is why I’ve asked my colleagues at Optimus if we can share it (with old branding!) here. Video clip 1.1 Passports to Partnership from Optimus Education on Vimeo. 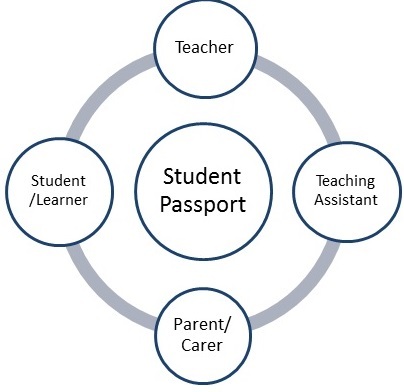 My second-most useful resource for talking about student passports is this diagram, which neatly illustrates the main aims of the passport: linking people together, ensuring co-production and keeping the child/young person central to the process. And I also would like to share my favourite Steve Higgins quote regarding the Bananarama principle: ‘it ain’t what you do, it’s the way that you do it’. It’s a useful reminder that any system has to match the setting/ethos of the school. 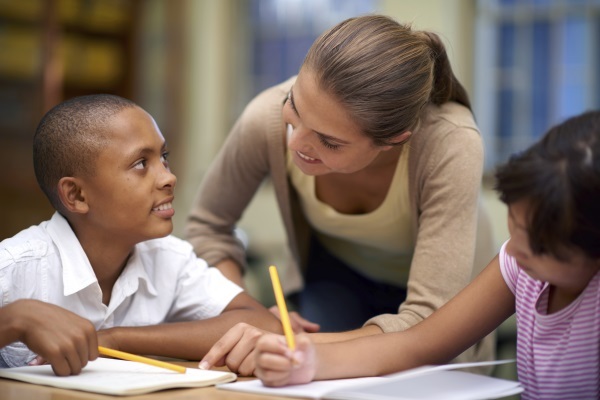 There is now, perhaps even more than historically, a real need to tailor and match strategies and mechanisms for support to specific schools and communities. My experience to date is that the passports allow enormous flexibility across ages and stages – for example, a pre-school in Ireland has developed the idea using pictures only for non-verbal students - it is the idea itself that is most powerful. So, do have a go at developing your own versions and seeing how it works with your own systems and support – let us know, and share thinking and ideas.